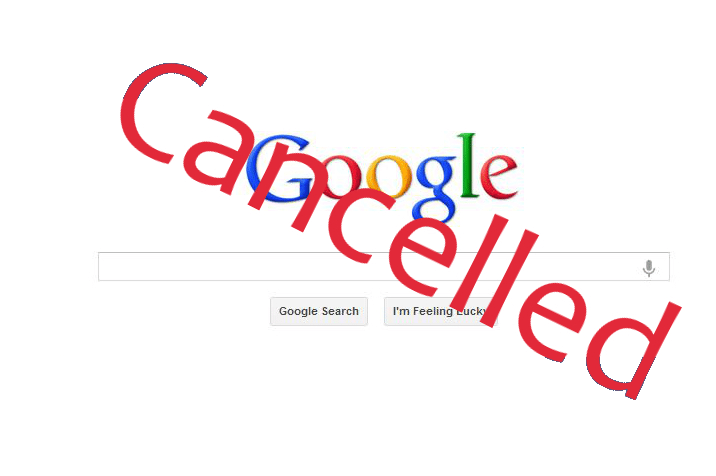 In a surprise move, Google announced today that it has cancelled another popular service. Like Google Reader, Google Health, and Google Wave before it, the popular Google Search service will be cancelled, effective immediately. Industry insiders say that Google is going all in on its efforts in the smartphone (Android), smart eyeglasses (Google Glass), driverless car, and talking footwear (Google Sneakers) industries, where the tech titan sees long term growth and opportunity. Uncle Jeff was, also surprisingly, unavailable for comment.